Seriously, this is an excellent ebook trailer. I love find finding good book trailers. I don't need a log cabin at the moment, however. Maybe someday! The French cat video. Watch it with your dessert. Well, it's not 1996. 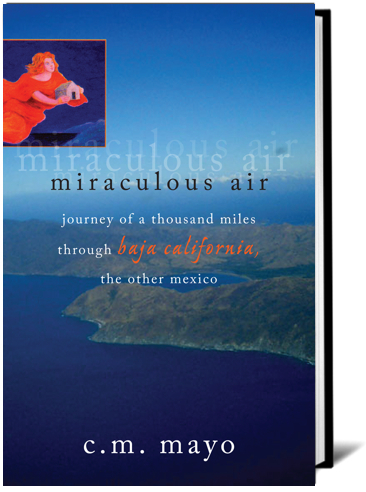 That's when I started writing Miraculous Air, my travel memoir of Mexico's nearly 1,000 mile-long Baja California peninsula, which was originally published by the University of Utah Press in 2002 (now a Milkweed Editions paperback). I was traveling and writing in the Anglo-American tradition of Robert Byron (The Road to Oxiana), Frances Calderon de la Barca (Life in Mexico), Ian Frazier (Great Plains), Sara Mansfield Taber (In Patagonia), V.S. Naipaul (A Turn in the South; Among the Believers), and -- though with a sight more depth into the actual nature, history and culture of Mexico and Baja California -- John Steinbeck's The Log from the Sea of Cortez (lovely book, but it mainly takes place in his head whilst observing the shoreline from the boat). I mean to say, I was writing a good old-fashioned literary travel memoir, passing through that blissfully cellphone and Internet-free territory within my shell of anonymity or, at least, the expectation that many of the people I encountered would never know much about me nor that they would appear in my book. 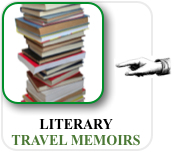 Some of the people I talked to were not too familiar with books of any sort, and many others, even though I plainly told them what I was doing, could not fathom the nature of a literary travel memoir (no, I do not list and update the prices of hotel rooms!!). Where matters seemed to me especially sensitive, to protect them, I changed their names and some identifying details (and said so). Several of the people I interviewed then have since passed away and, as far as I know, they never had an email address. Give your name to almost anyone anywhere and chances are (if they are curious and/or have nothing better to do), they'll google you. So it's handy to have a website that offers what you'd like them to see, as opposed to, say, what Creepy Weirdo spewed on some obscure discussion forum. Plus, anyone, including your neighbor's uncle's monkey, can post on Tripadvisor.com, amazon.com, wikipedia, twitter... It's totally, ayyy, here comes everybody. Need I mention that almost all the relevant websites have a "contact" page. Click and ye shall communicate. 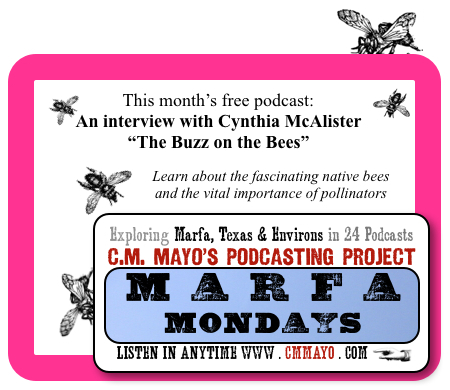 Exploring Marfa, TX & Environs in 24 Podcasts. Towards that end, I made that webpage, frequently mention it in this blog, opened YouTube and vimeo accounts, started a twitter feed, got an iTunes RSS feed going, and. . . drumroll . . . joined the Marfa, Texas, Chamber of Commerce. Well, porquoi pas? They are happy to have new members, the price is right, and they are -- bless 'em-- announcing my monthly podcasts in their weekly newsletter. --->Click here for the direct link to the podcast. 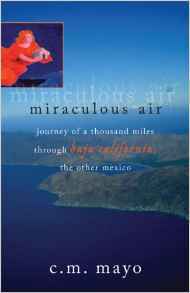 Michael Wiese publishes some excellent books. Apropos of a note on log lines, I recently posted a mini-rave review of one of them: Blake Snyder's Save the Cat! I'm on the lookout for good podcasts by and for writers, so let me know of any you recommend. I like to listen to them, but I'm also looking for helpful links to list in my forthcoming iBook, Podcasting for Writers. Cynthia McAlister is an expert on the bees of West Texas, and as those of you who have been following this blog know, I'm crazy about bees, so this interview is one I was especially delighted be able to do. It was recorded in late January when I was traveling in the area for my book (as yet untitled). I've been back since and will be posting more podcasts-- they're scheduled for the 3rd Monday of every month through the end of 2013-- including one on the remote and restful Chinati Hotsprings and an interview with the owner of Marfa's fascinating Moonlight Gemstones. Stay tuned. Farm Stand Marfa Blog, "The Bee Is Not a Machine" and "The Bee, the Blossom and the Beginning of Civilization"
And another in the El Paso Times by Ramón Rentería, "Old-time Marfa Lives on in Memories"
Many more links to read about Marfa & Environs here. The Story is True-- by a professor of American Culture at the University of Buffalo--was off my creative writing workshop radar until Charlie Angell, crackerjack-wilderness guide to the Big Bend and contributor to Cenizo Journal, recommended it. I read it, relished it, and, as of today, added it to my workshop page's recommended reading list. The essay I found most illuminating is "Bob Dylan and the Legend of Newport 1965." 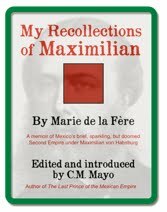 For a long time now I've had in mind an essay on the many legends of Maximilian von Habsburg, Mexico's doomed Emperor, who is a major character in my novel, The Last Prince of the Mexican Empire. Based on the true story, this novel required several years-worth of original archival research, and extensive forays through the ever-growing bibliography on the Habsburgs and Mexico's Second Empire, aka French Intervention. Well, like the legend of Bob Dylan at the Newport Folk Festival of 1965-- that he was roundly booed for playing on an electric guitar-- many stories about Maximilian turn out to have a foundation of precisely nada. That doesn't keep Mexicans from telling and retelling them, however, and with each retelling, the stories take on more polish, more of a volume mistaken for solidity. I am thinking in particular of Maximilian's supposed affair with his Indian gardener's daughter in Cuernavaca and the Empress Carlota's illegitimate son. The stories meet a certain need-- as Jackson puts it, "the moment needed a story...Stories are the way we domesticate the world's disorder. Facts are incidental." "The Story of Chuck" made me chuckle-- and reminded me why I loathe those Nuremburgoid stadium events, watching TV, or spending one purple cent on Coca Cola. But maybe that's just me. "The True Story of Why Stephen Spender Quit the Civil War" struck me as very Mexican; that one has to parse seventeen times, why, why did he / she / they say that? Change the names and it would be a short story of merengue-like perfection. Oh, not to go on about it. Read this book. If you're a writer, it will get you thinking more flexibly and creatively about plot; if you're a citizen, it will make you question the stories you're being sold. Turn them upside down. Turn them inside out. Shake out the pockets. Bet you'll find a purple penny in there. P.S. Read a Q & A with Bruce Jackson here. 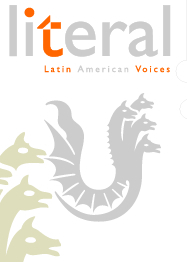 With permission from the wonderful bilingual Literal Magazine, herewith a reprint of my review -- in the current issue, on newsstands now-- of Sergio Tronocoso's two new books, a novel and a collection of essays. Este maldito terregal, this wicked patch of dust, is what SergioTronoco’s mother called Ysleta, their barrio in El Paso, Texas, and from this he takes the titles of his new novel and an essay which is included in the collection, Crossing Borders, both published in 2011. Ranging from several lengthy and intimately personal essays about family, to lessons in literary politics, to a passel of posts from his blog, Chico Lingo, Crossing Borders provides a rich introduction to not only Tronoco’s new novel, but also his previous work, which includes the novel The Nature of Truth (Northwestern University Press, 2003), and the short story collection, The Last Tortilla and Other Stories (University of Arizona Press, 1999), which won the Premio Aztlán for the best new book by a new Mexican-American writer. Ismael goes to Harvard and finds a Jewish bride; Julia to Minnesota and a conversion to Islam. In late 2011, after the terrorist attacks on the World Trade Center and the Pentagon, Ismael is in New York when his sister, now married and living in Tehran, calls to see how he is. Their conversation is so well-grounded in knowing detail that Troncoso makes what might seem fantastic, a brother and sister so far from Ysleta and so impossibly far from one another, both believable and moving. In the final essay in his collection, “Why Should Latinos Write Their Own Stories?” Tronocoso answers, “to define ourselves,” and “to challenge ourselves.” In his novel, he has done this brilliantly. --Reprinted by permission of Literal Magazine. All rights reserved. ---> Read more of my book reviews here. 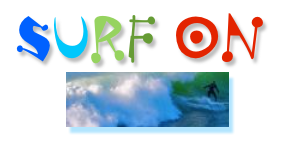 The May 2012 newsletter just went out last week. 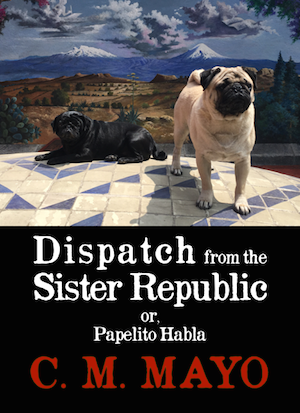 There's plenty in here for writers interested in exploring the possibilities on the digital frontier, Mexico and its great literary artists, the Orphic Journey and the wonders of the Sierra Gorda, and that world waiting for a dream, far-out & far West Texas. Oh, and the Afterlife, too. More succinctly: It features news about the June 23 "Publish Now!" conference at the Writer's Center (in Bethesda MD, near Washington DC), the latest Marfa Mondays podcasts, and Conversations with Other Writers. Read on. 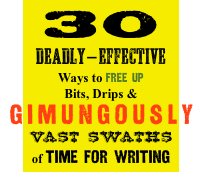 I send subscribers the newsletter as an email via mailchimp.com (a great service, by the way, I highly recommend it) that includes the link and passwords for a free ebook with tips on writing. So sign up, whydoncha. I'd be delighted to see you on the list. I send it out a few times a year, and you can unsubscribe or re-subscribe automatically anytime (that's mail chimp.com for you). I usually post on Mondays and Wednesdays but I had to make an exception this week for the 150th anniversary of Cinco de Mayo. No, this is not Mexico's Independence Day; it commemorates the victory of the Mexican Republican forces against the invading Imperial French Army at the city of Puebla (near Mexico City) on May 5, 1862-- a temporary victory, as it turned out. Before the Republic could be reestablished, there was that brief, tragic, and very painterly interlude known as the Second Empire (Maximilian von Habsburg et al). 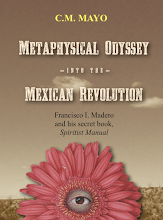 The aftermath of that long-ago battle is in my novel, The Last Prince of the Mexican Empire. Read more about Cinco de Mayo over at my blog post on Donald W. Miles and his work. 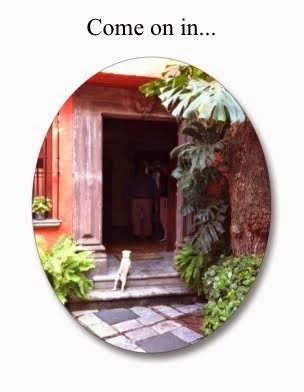 My south of the border music selections (ye olde guest-blog post for Wendi Kaufman's The Happy Booker), apropos of my anthology of 24 Mexican writers on Mexico, Mexico: A Traveler's Literary Companion. My favorite place to visit near Puebla (nothing to do with the battle): Eulogio Gillow's English-style castle in a trout pond. 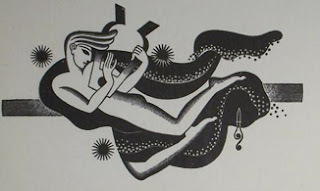 A really fun and informative blog post about Mexican murals, over at the MOMA blog: "Five for Friday: Mexican Muralists on Cinco de Mayo" by Bonnie MacKay.